Originally the idea for my final project revolved around the use of 3-4 webcams in order to create multiple harmonizing musical tones utilizing the glow of dinoflagellates. Since discovery of Jit.scissors, I should be able to use one webcam to pick up different tones depending on where on the screen they fluoresce. The trouble will be making them light up on cue. 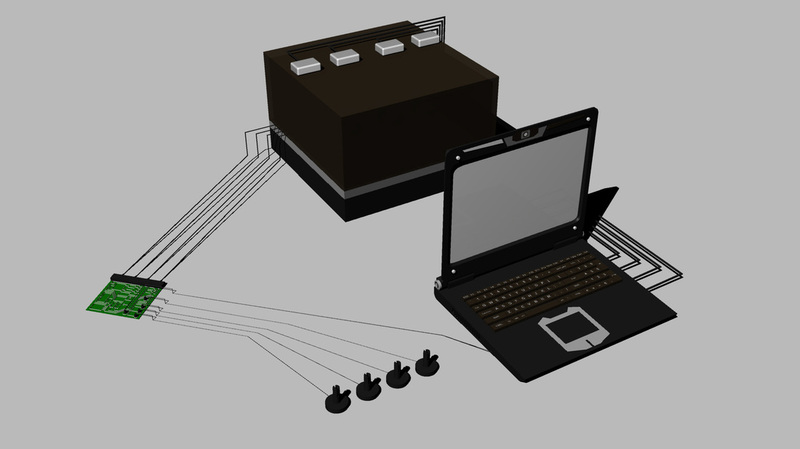 One way to do this could be to use an arduino and four motors controlled by different adjustment knobs. Another method could be to use different earbuds and loud bass to make them react. Another way could be to have the dinoflagellates on a raised surface and then tapping the underside of the surface in order to cause the reaction. 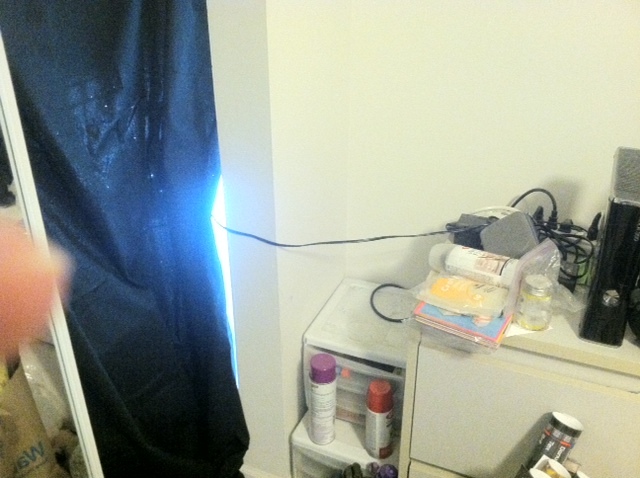 I have a set up the dinoflagellates in my closet on a 12 hour schedule, so that they are in the dark during the day, and are lit at night. 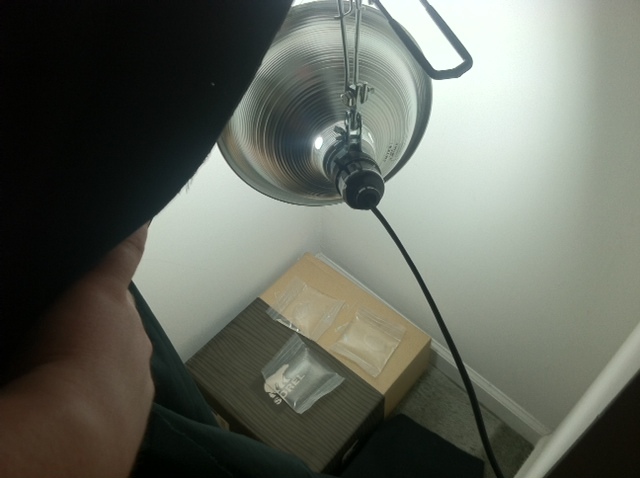 All bags have shown fluorescent activity, however hey only seem to stay lit for about 5 seconds at a time. Another month should supposedly double their numbers, however if their in-activeness becomes a problem, video footage might be the only way to incorporate them. If they are unfit for the art piece, I still have the code and the webcam. The backup idea is to aim the camera at a white backdrop and depending on where people stand and what colors they are wearing, than different tones will be played. In working towards the complete version for the final project, I have created a patcher which takes a single webcam and analyzes the footage and looks for the colors red, green and blue. If it sees these colors, it will output a specific tone per color in order to harmonize. This concept I believe can be transferred to Dinoflagellates in order to create a hybrid Bio-System. I've created a video that can best show off the color analysis of the program. 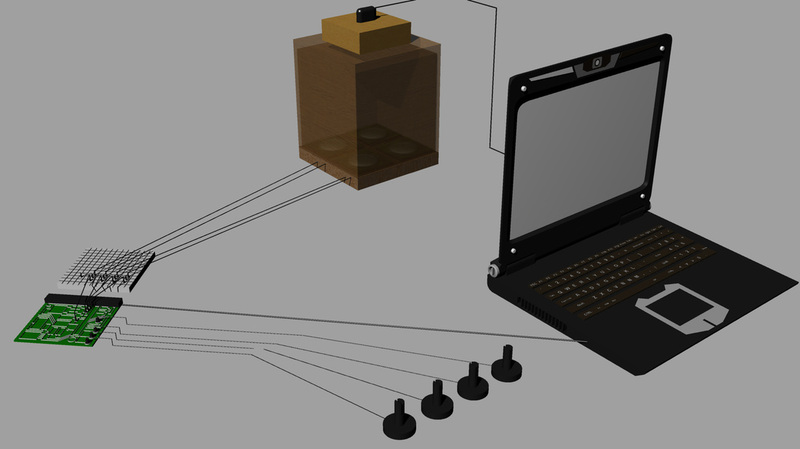 I've also assembled a box which can house the webcam and phone showing the video. 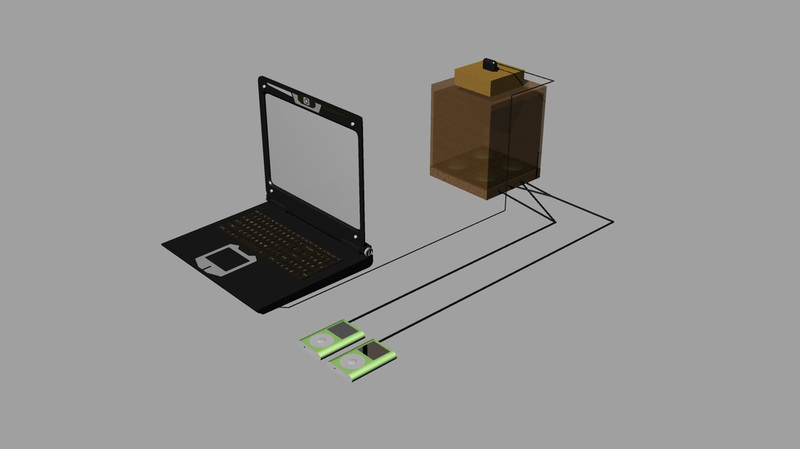 The box lid can be easily removed and can react with lab colors for presentation. The article describes mechanization as the transferal of human actions to machine. Gives me the thought of car assembly lines. Interaction and blending perhaps is the best way to describe it. My previous design looked into the bio-luminescence of mold under UV light. I discovered a new subject to observe since then called Dinoflagellates. These Dinoflagellates are aquatic protists with some unique properties. The part I'm interested in is their ability to fluoresce. In order to fluoresce, these protists create a chemical reaction with luciferin and scintillons within their bodies. When threatened, vacuoles open up in their bodies and allow water in to lower the ph. When low enough, the chemical reaction takes place and produces a bright blue flash of light. They can feel threatened very easily, even if it's just a disturbance in the water they live in. Phase 3 utilizes a laptop running max 7 and 4 webcams. The Idea that I'm working with is that I want to connect sound to the light emitted by the Dinos. Each of the webcams monitor a different container full of them. max will interperet each footage differently and assign each one to a different note if the color blue is seen. The tough thing about this is that dinos have a circadian rhythm and follow day night cycles. I could make this a closed environment and put in an aquarium light on a 24 hour timer in order to make them light up during the day. "Man is always aiming to achieve some goal and he is always looking for new goals"
Uses Synaesthestia, the combination of the visual and audio in a synced format. The Musicolour works are actually very difficult for me to imagine. Everything seems so mechanical and I cant picture it in a performance setting. I am going to need some clarification on what exactly the "Colloquy of Mobiles" in class. In the Hardware Article by Mitchell Whitelaw, I liked the multiple examples of autonomous systems given and the information associated with it. Things like Yves Amu Klein's Octofungi are truly fascinating to me, but The line between science and art is beginning to blur for me. Things like this seem more like a science fair project than an artistic endeavor. It's interesting to think about the reproduction/portrayal of life into the mechanical art world. Communities are also fascinating to see created, like Kenneth Rinaldo's Autopoesis. The concept of machines communicating with each other kinda makes me uncomfortable. For example, On twitter there are many different "Bots" which respond to specific tweets with specified responses. These bots may be online-date-bots or advertising bots or whatever. There is a specific group out there followed by only these bots and they respond to each other and have their own conversations. 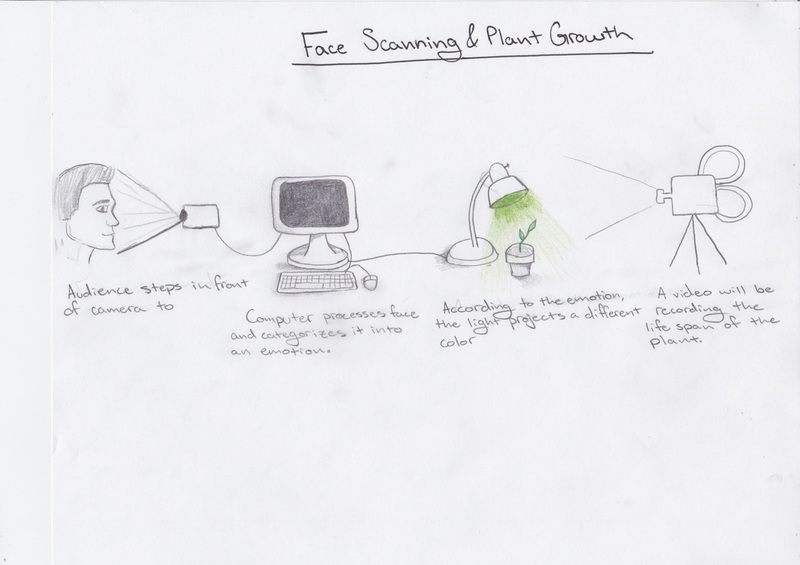 Face scanning and plant growth - Different faces create different emotions. These emotions are tied with different colors. These different colors can be used to grow plants. Different colors have different effects on plant growth. Person steps in front of camera and captures a video recording of the face. The video recording stays looped until a new person comes on in to record another 10 seconds. White light is the best condition and can be tied with Happiness :) Negative emotions and blandness can be tied with other colors. A time lapse camera will be set up to take a picture of the plant every day and every time the color changes. A different camera will be set up to record the emotion captured with the light. 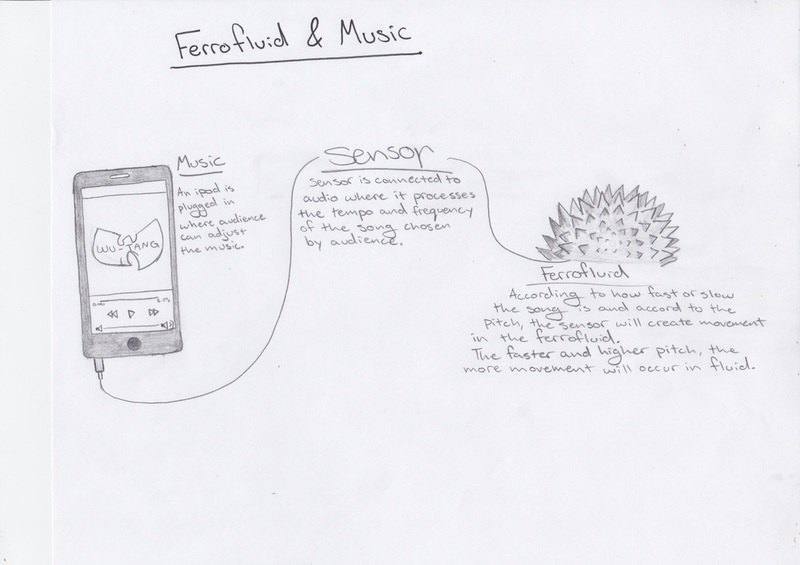 Ferrofluid music - Plugs into ipod and a sensor will pick out a certain note/s in different songs. An electromagnet is placed within a container with ferrofluid. 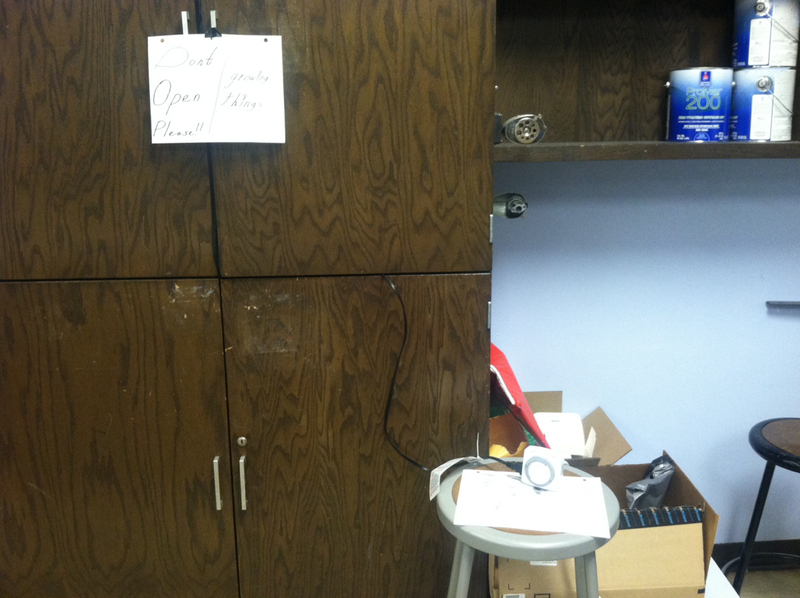 The electromagnet will react with the music; getting stronger and weaker depending on the pitch and frequency. 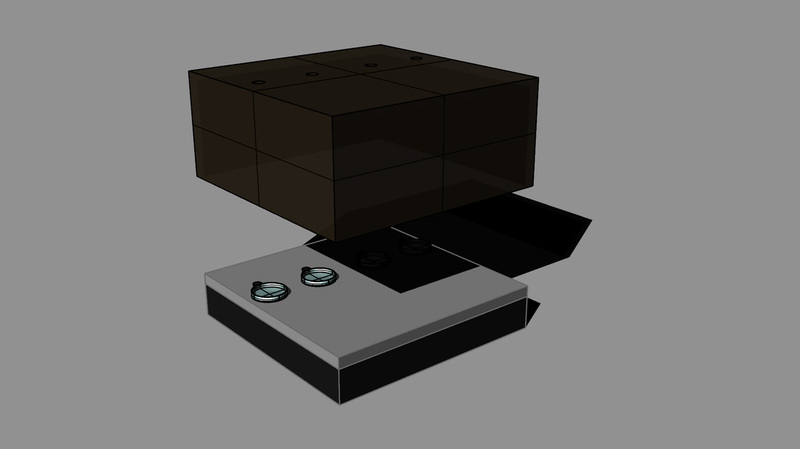 The ferrofluid will react differently depending on the strength of the magnet. This kind of audio physical visualization is called Cymatics. A process where by larger entities, patterns and regularities arise through interactions of smaller entities that don't show such properties. ex.. Snowflakes. Fractal Patterns. The Art systems created by Tom Davis are a little confusing to me. I have an understanding of His storm, however Excuse Me! I feel isn't defined enough for me to understand. I am unsure how it is set up in order to achieve its results. 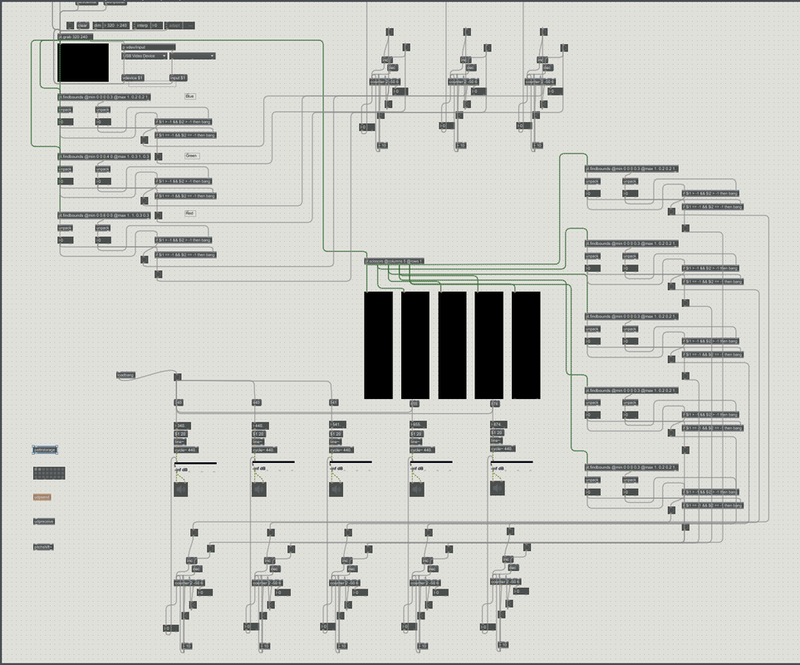 I suppose I'm still a little hazy on what makes a system complex. It also could be that Davis' article seemed a little dry information wise. Despite this though, It was fascinating to read his take on complexity. human and the nonhuman and an intrinsically temporal becoming in that engagement"
Ontology: The study of Nature and Being. I am fascinated with Bio-luminescent Bacteria and I'm curious if it can be manipulated and influenced into lighting up on certain scenarios. Deep sea fish have organs called photophores which contain bacteria that react to a chemical within the organ. Other methods of organic luminescence can be found in insects and parasitised nematodes. Another thing I am looking into is black light luminescent mold. Depending on the situation, the mold should be manipulable into forming patterns. 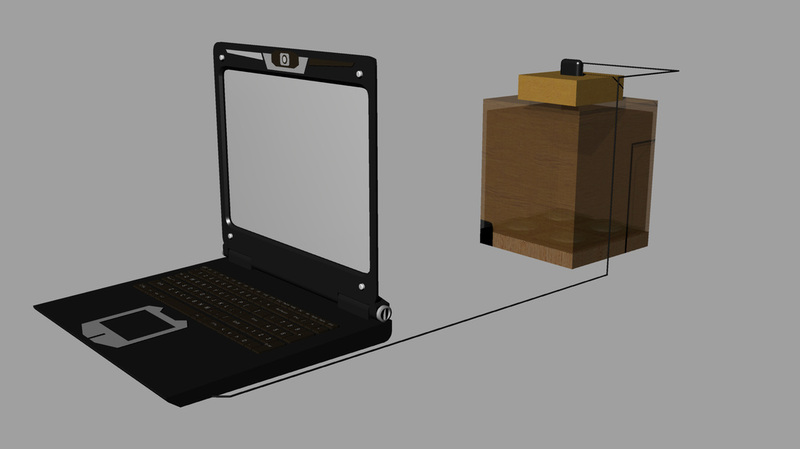 The main Idea is to create a shallow container container composed of plexiglass with a fogged bottom. The next step would be to place Mold samples at one end and then dampen the rest of the container. 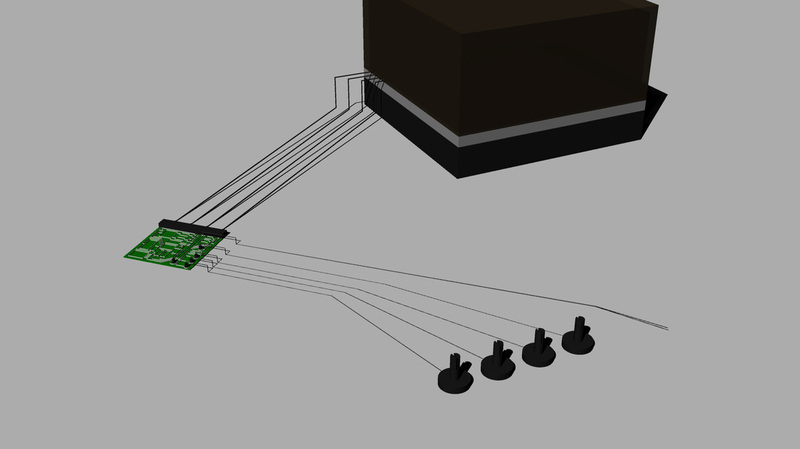 Over the next days of growth on the surface, below the box will sit a device designed to sweep a black light tube back and forth not unlike a scanner. 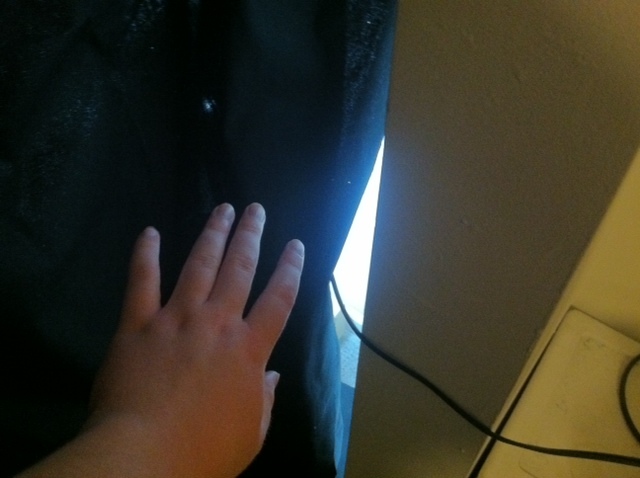 This will cause the growing mold to light up under the black light and reveal the growth patterns. Phase 2 would be to suspend a live feed camera looking down at the container. MAX would be used to create a grid of points across the video file and whenever the black light would illuminate mold in green or yellow, the points on the spots would send an audio signal in order to create a sort of music that would evolve over time. if it works correctly, the notes will progress in time with the moving black light. 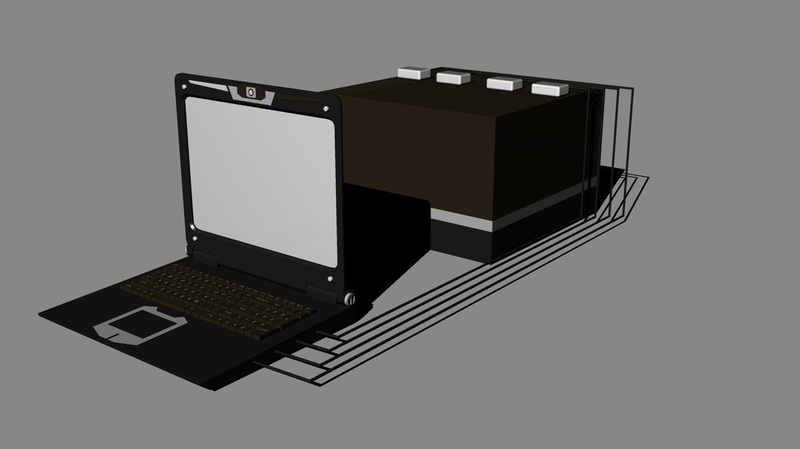 Here is the place where I will upload my Blog for Systems Art.